The farm-to-table movement is about reconnecting with where our food comes from. The emphasis is on quality ingredients you can trace back to the farm to understand how it was grown, harvested and got to your plate (or glass). (Photo credit: Carol Norquist via Flickr). Chefs and foodies everywhere agree that a delicious dish starts with the highest quality ingredients. So why don't we think about this when choosing a wine? It's the slow food movement, trying to move us away from the processed convenience foods we've created and back to wholesome food the way nature intended. Basically, it's the polar opposite of fast food. (Photo credit: Brotherly Walks via Flickr). 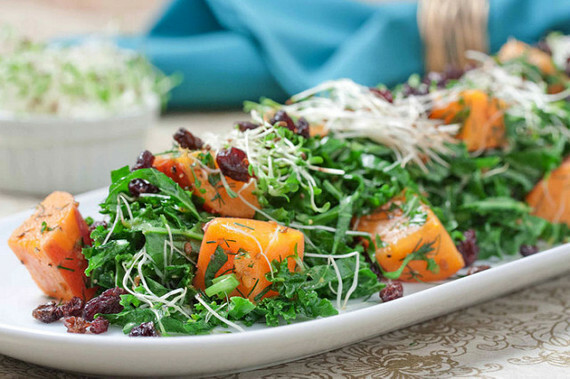 Farm-to-table cuisine means locally sourced and seasonal ingredients are centre stage. Heirloom and heritage ingredients are also prominently featured to encourage variety in terms of taste and nutrition. 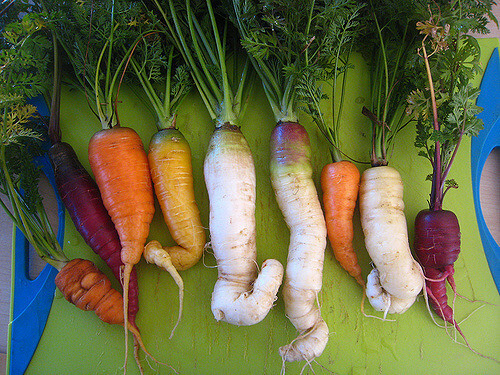 For example, purple potatoes, red carrots, yellow tomatoes and candy cane beets offer different nutrient profiles than the hybridized types you'll see in most grocery stores. (Photo credit: Gabriel Li via Flickr). 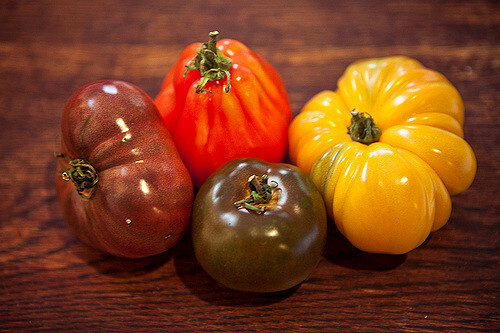 The genetic diversity amongst heritage foods not only adds variety and deliciousness to our diets, heirloom varieties have developed natural resistance to diseases and pests and adapt to changes in climate and soil. Hybrids have been created to withstand long journeys and to be bigger and better looking rather than to be tasty or nutritious. (Photo credit: Kristen Hess via Flickr). The best part about preparing meals with farm fresh ingredients is the recipes are super simple. The amazing flavours of the ingredients speak for themselves. With wine, knowing where the grapes are grown and what type they are is an essential aspect of wine appreciation. 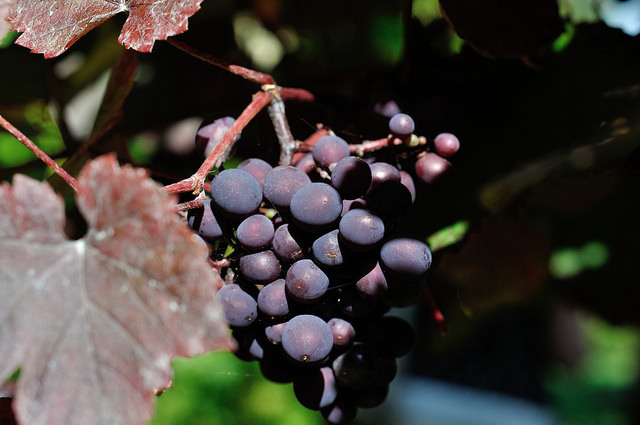 A wine's flavour is a complex mix of elements such as terroir, which includes climate, soil and grape varieties and captures the "sense of place" of a wine. But we don't often wonder about how the farmer's involvement with his grapes can further impact a wine's character. 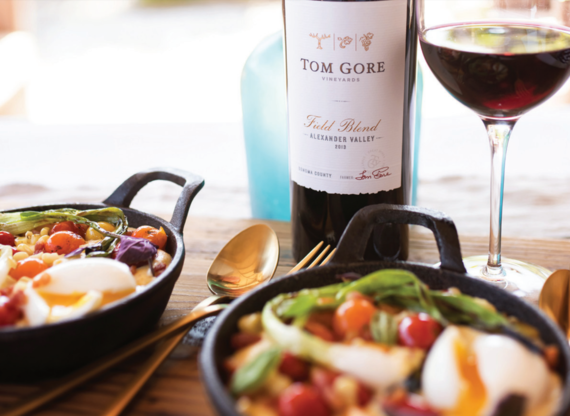 Tom Gore, northern California grape farmer for Tom Gore Vineyards says, "Just like a chef needs outstanding ingredients to let a dish shine, a winemaker needs high quality grapes to make a good wine." (Photo credit: M. Shattock via Flickr). Before the vines begin to grow, pruning techniques lay the foundation and shape the uniformity, balance, and ultimately the quality of the vines for the growing season. The farmer and winemaker meet to align on wine style, and tailor the farming to achieve the desired style. Farming practices include removing less/more leaves and thinning the shoots and fruit clusters as needed. The timing and severity of these activities affect the flavour of the grapes and ultimately the wine. "At harvest we reap the benefits of a year of work. It's an amazing feeling", Tom explains. The farmer and winemaker collaborate daily to ensure the grapes are harvested at the prime moment in each block of the vineyard. (Photo credit: Tom Gore Vineyards. Used with permission). 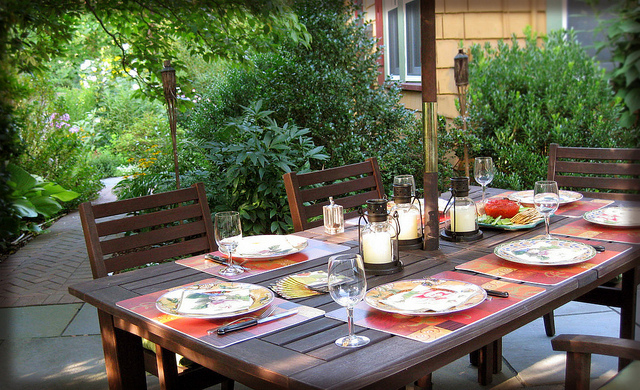 Try some seasonal Sonoma-inspired farm-to-table recipes such as Thyme Grilled Sardines and Blistered Sun Gold Tomatoes with Pine Nut Vinaigrette, Grilled Fingerlings and Cabernet Ketchup and Creamy Polenta and Charred Summer Vegetables with a Soft Farm Egg. What your favourite farm-to-table recipe? Join the conversation on Facebook at 80 Twenty Nutrition. 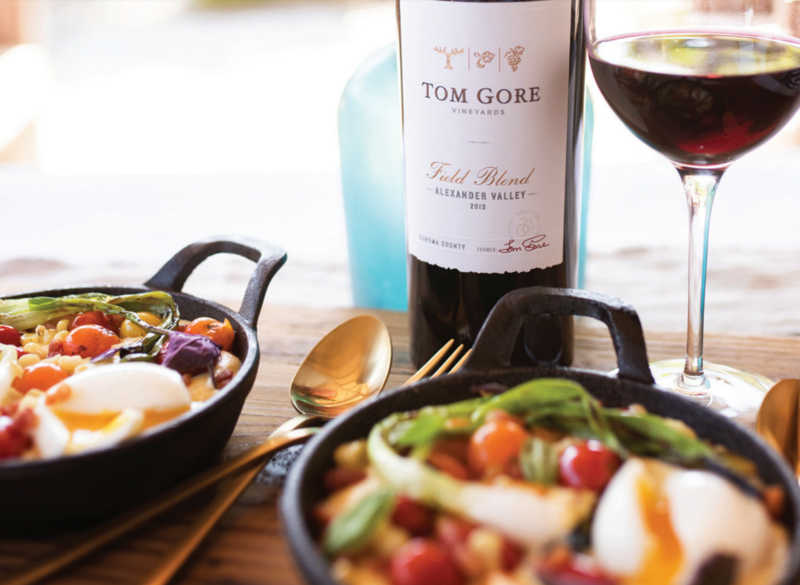 Disclosure: Christy collaborated with Tom Gore Vineyards in writing this article. All opinions are 100 per cent Christy's own.